Instagram doesn’t allow active links in posts, which means you get exactly one active link on the platform-in your bio. 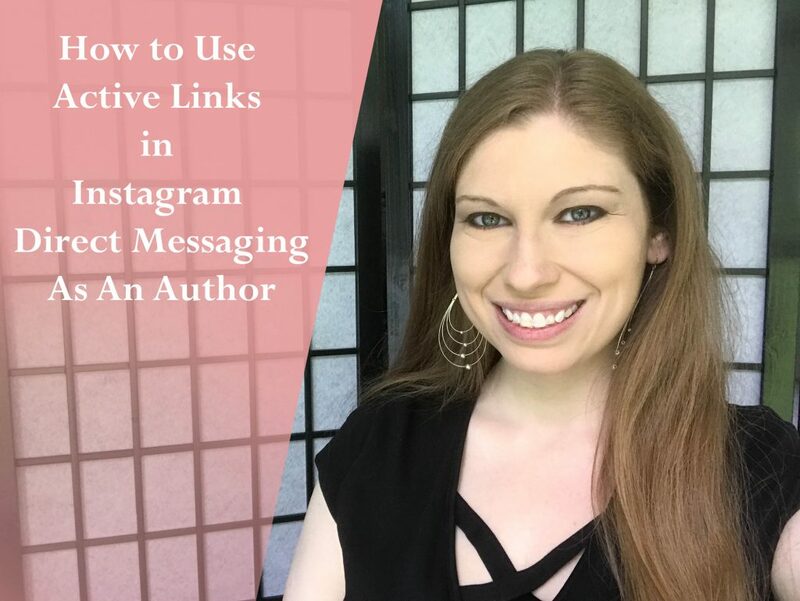 If you’ve gone through my InstAuthor course, you already know why it’s so important to have one specific link in your bio and why it’s important NOT to be changing it. But now we have the ability to use active links within DMs. This is important for A LOT of reasons, not just for giving out info. By putting this into practice, you not only get the info out that you need to communicate to your fans, but you open up a dialogue with them, develop a relationship with them, AND raise your standing within the Instagram Algorithm ranking system. Are you going to start doing this in YOUR author brand? Let me know in the comments! Posted in Instagram, Social MediaTagged active links in instagram, author instagram, instagram, social media, social media for authorsBookmark the permalink.